10 Steps… 50 Steps… 100 Steps… You’ll Get There. “A journey of a thousand miles, begins with a single step.” – Lao Tzu. 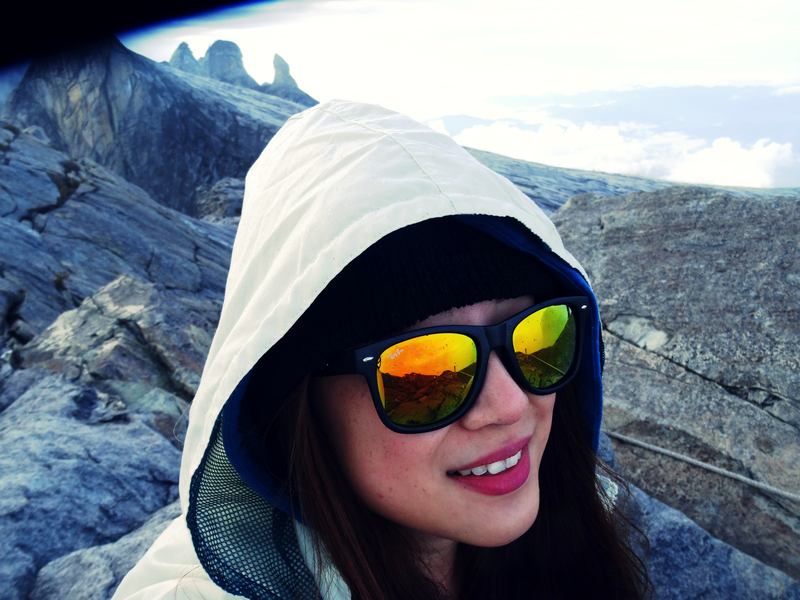 On the 14th of June, my cousins and I set off to climb Mount Kinabalu. We chose the 9km Mesilau route to Laban Rata. It was the longer route, and therefore the “harder” way up. But the meandering around waterfalls and swaying bridges, the rocky step-up challenges and snaky pathways through the jungle, or the sudden change in scenery from tree covered treks into a wide, open expanse above a cliff, surrounded by 360 view of misty mountains, wind-blasting in your face–was so worth it. But at many points along the way, that 9km felt like it was dragging on forever without an end in sight. I kept thinking this will be the first and last time I’ll ever do this, and couldn’t wait to get this trail over and done with! It was a huge, huge, relief when 7 hours later, we caught the first sight of the resthouse in Laban Rata. We started half past 9 in the morning. By now, it was 4 something in the pm and we’re finally here! From this point onwards it’s approximately 2.5km to the top of the mountain, which, ironically, is called “Low’s Peak”. We’ll begin our final ascend at 2am. Meanwhile, we were starving and counted the seconds till “dinner” was served at 4:30pm! After filling up, we trooped into our dorms, which was another 100 metres hike up from Laban Rata. Got ourselves cleaned up as best as we could–couldn’t shower as the water was ice cold! It’s been a long day, and by the time we got our stuffs ready for tomorrow and settled in for the night, we had 3 hours left for sleep. The dorms had no heating. It was freezing cold and the wind was screaming its way up the hill in high pitch! As I was shivering beneath the blankets (3 blankets in fact! ), I thought about our journey up till this point. It had begun long before we even set foot here. We’ve been training hard for this. Some, for months. Me? Just 3 weeks. But it’s 3 times a week, with a trainer, who pushed me harder and harder with every passing week. It wasn’t easy for me, and it was definitely time consuming. “I’m already up there!” one of my cousin said. In Khin Hong’s mind, there was no question IF this is what he wanted or IF he could do this. He’s already there in mind and in spirit! That’s another giant leap forward. All that’s left to do is the will to follow through. Either that, or he was just psyching himself up despite being scared like the rest of us! It’s probably a little bit of both? But, in the midst of uncertainty, his willingness to go forth anyway, is inspiring. 2am came soon enough. By then, we already had breakfast, had our headlamps on and were huddled outside for briefing. It was still dark out. Just thinking about the part where the guide says “300 metres of non-stop rope climbing, no stopping in between,” got me nervous. So nervous, we had barely started when I was breathing like we’re running out of air! Fear was getting a hold on me. The guide, looking me steadily in the eye, asked me if I wanted to turn back. “If you want to turn back, you can,” he said, studying my face. I felt jolted awake. That’s when I realized that despite the Fear, turning back wasn’t an option for me. I was afraid, yes. But more than being scared, I wanted to keep going. I wanted to finish this. So I kept putting one foot in front of the other. I wanted to go up! Am so grateful for the inspiring company, guides and hikers I met on the way up. When the climb felt the hardest, Subra, who’s already been up here 7 times, kept encouraging me. “Just 10 steps. Take 10 steps, then we’ll stop to rest.” Bit by bit, every ‘just 10 steps’, brought us higher. My cousin Jan struggled the most near the summit. It seemed so near yet so far! But she counted 50 steps. Every 50 steps pushed her forward. With his left Achilles tendon injured, my brother was limping. As you can imagine, it was difficult for him. He kept going by counting 100 steps. Breaking down the journey to 10 steps, 50 steps, 100 steps at a time, made it doable when reaching to the top seemed almost impossible. Step by step… you’ll get there. 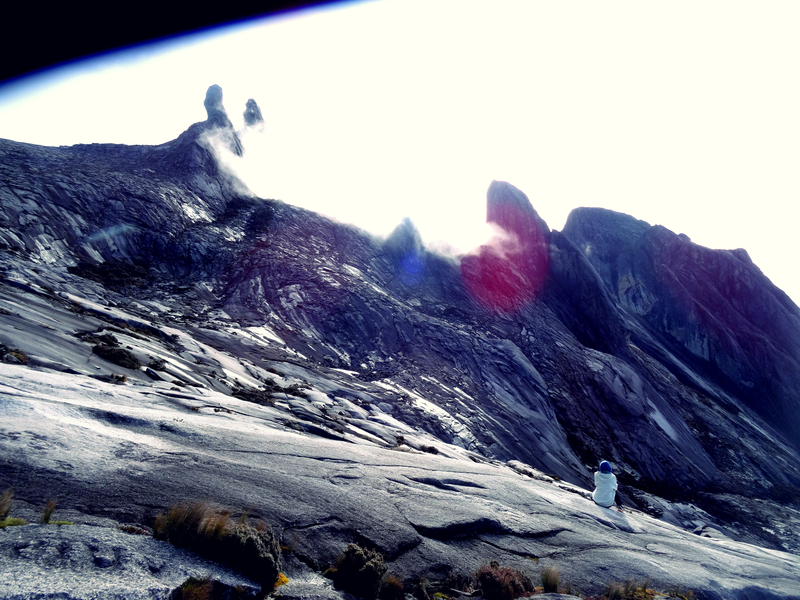 Top of Mount Kinabalu. 150614.